Higher Floating Through A More Buoyant Coating, Especially Noticeable In The Tip Area. A Slight Two-Tone Colored For Easier Identification Of The Transition Between Head And Running Line. This Line Is Developed With The Beginners And Intermediate Casters In Mind. It Has A Short Belly With A Steep Back Taper Down Towards A Thin, Low Friction Running Line. Control Is A Great Line For Learning A Proper Double Haul And It Also Works Very Well For Anglers Seeking A Tool That Easily Can Manage Fishing With Good Accuracy In Tight Waters And Rivers. 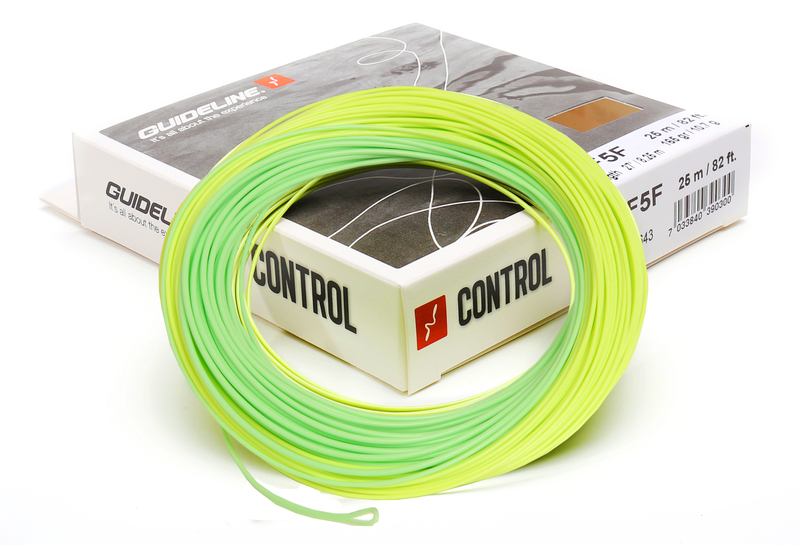 Control Is Suitable For Fishing With All Kinds Of Flies And Are Great For Both River- And Lake Fishing. Head Length Is 8,1 Meters And The Total Length Is 25 Meters. Looped Front And A Laser Id Marking About 50 Cm Up From The Tip. Color: Olive Two-Tone.